Walker's provides disposable hearing protection in a convenient 100-count jar for shooting enthusiasts to keep in their range bag or gun case. Walker’s Game Ear, the shooting and hunting industry pioneer in hearing protection, introduces the new Foam Ear Plugs in 100-count jar. Walker’s provides disposable hearing protection in a convenient 100-count jar for shooting enthusiasts to keep in their range bag or gun case. These comfortable plugs are universal as they conform to the shooters ear, providing hearing protection that is NRR rated to 32dB. While these foam plugs are disposable, your hearing is not – so don’t shoot without being protected. The convenient plastic jar keeps the plugs clean and handy in a shooting bag. Other Foam Ear Plug uses include concerts, lawn mowing/yard work, machine shops and any other environment with damaging noise levels. 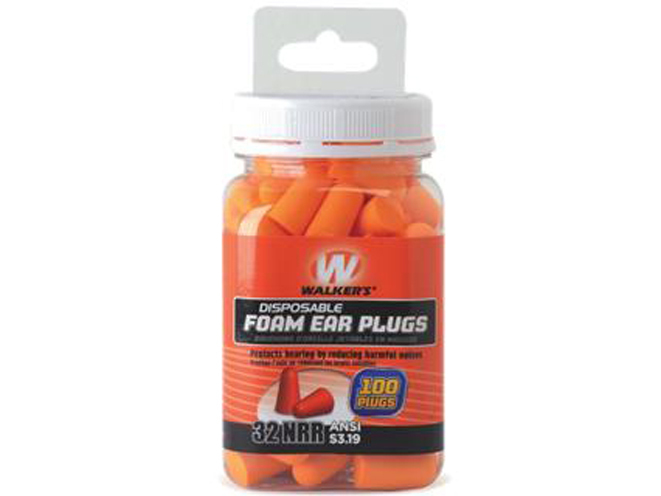 For more information on the Foam Ear Plugs and other Walker’s products, visit http://www.gsmoutdoors.com. Walker’s Game Ear is a division of GSM Outdoors.